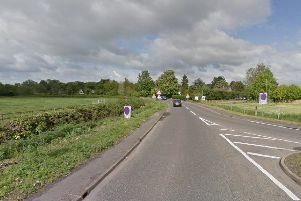 Four men have been injured, one seriously, in a crash near Spalding yesterday morning. The single vehicle collision took place at the A1175 junction with the B1172 at Spalding Common at around 2.50am on Sunday, October 15. The road was closed for several hours yesterday.